This miracle oil is a must for your animal. A wound or inflammation can occur quickly. 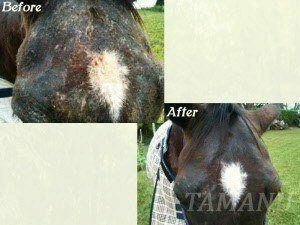 A lot of animals, like people can suffer from rheumatism, wounds, scars, pulled muscles, sprains or general inflammation, Applying pure Tamanu Oil™ can help relieve the symptoms. If we talk about skin care, Humans and animals are not all that completely different. 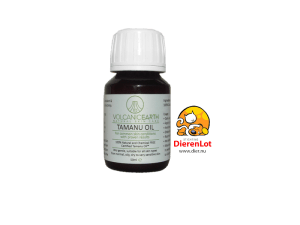 The advantages of this 100% natural Tamanu Oil™ are endless. 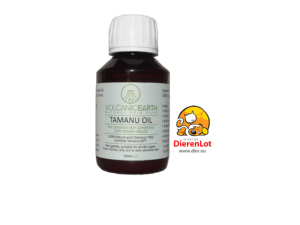 Pure Tamanu Oil™ is the most effective skin repairing oil for external use. Tamanu Oil™ is produced from fruits (nuts) of the Calophyllum inophyllum. The oil is 100% pure, natural, pure, free of chemicals and artificial additives. and have an anti carcinogenic effect. 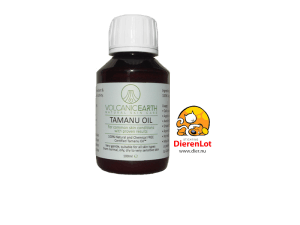 Tamanu Oil™ has been proven effective only when it is undiluted. Undiluted Tamanu Oil™ contains anti-bacterial and anti-viral properties, also promotes the formation of new tissue and healing cell. and has a natural wood/ nutty aroma. In our research laboratory each batch is analysed with a Gas Chromatography mass spectrometry for purity and provided with a certificate of analysis. 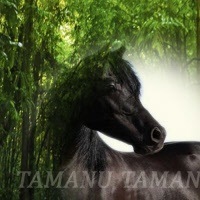 Tamanu Oil™ has a glossing effect on the skin and hair of your animal.